Stop pain and medical ailments with a holistic approach to modern healing. 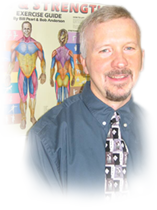 I am a certified acupuncturist providing essential, targeted treatments to a variety of joint problems, arthritis complications, pain from stress and anxiety and even infertility. Acupuncture combines ancient techniques developed over centuries of practice with modern knowledge and application to provide comprehensive healing. Acupuncture is an alternative medicine form that gives you natural, drug-free treatment for pain and other ailments that is also free of side-effects and dependency. To soothe each unique condition, I design a targeted treatment plan that works at the source of your soreness. Relaxation techniques, breathing exercises and nutritional advice are other important strategies offered to help alleviate pain from stress, anxiety, sleep imbalances and various muscle discomforts. Enjoy holistic healing from a certified and licensed acupuncture therapist to begin healing the aches and unease disrupting your life. Call, email or stop in at any location to find out more or to schedule a session. Some insurance accepted. Call for details - 732-881-3562.